This inclusive playground is designed to welcome all individuals and families, regardless of ability. My Place includes all the features of a traditional playground such as swings and climbing equipment, but was constructed to allow those with disabilities to access every aspect of the facility. 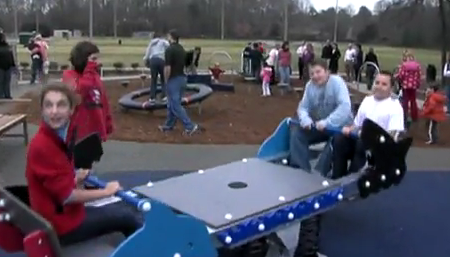 The playground, which opened in December 2009, is a privately funded project of the Leadership Historic Triangle Class of 2009. Fundraising supports the maintenance and repair of the playground. Your donation can ensure future generations know that My Place is your place. To donate, visit MyPlaceForm or contact Joan Etchberger at jetchberger@james-city.va.us or call 757-259-5410.